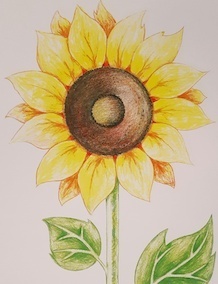 Join artist, Irina Steinberg, for a one day workshop where you will learn the fundamentals of drawing a beautiful sunflower with colored pencils using a step-by-step approach. Just perfect for both the beginner and intermediate drawing student! Note: Online registration closes one day prior to the start of class. Please contact us at mainavegalleria@optonline.net or (732) 988-1002 to register by phone.